Australian officials have eradicated thousands of feral animals including 4,750 wild pigs in a bid to control their numbers which have got out of hand, writes Chris McCullough. The cull was facilitated via a targeted aerial shoot in the western Riverina region of New South Wales by Local Land Services (LLS). Over the past three years aerial surveys of the area indicated there were as many as 170 wild pigs per square kilometre. Local farmers who are plagued with the pigs eating and damaging their crops have been calling for action for years to reduce the pig numbers. According to LLS the feral pig population in the western Riverina could swell to two million head within five years if uncontrolled. Also, the recent drought conditions have forced the pigs to venture further into urban areas in search for food making them a real problem for residents. The aerial shoot covered an area of 750,000 hectares and killed up to 70 percent of the feral pig population. LLS biosecurity and emergency services manager Michael Leane said: “This knockdown was required to reduce the pig population long term. The feral pigs are a pest for farmers but are also damaging the environment as they are spreading weeds and disease. In total the cull, which took place across 30 private properties, national parks and the Nimmie-Caira wetlands, eradicated 5,644 pests including feral pigs, cats, goats, foxes and deer. 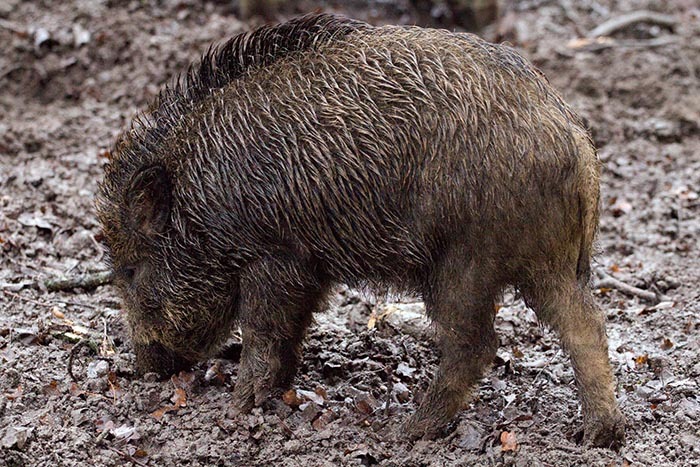 Officials decided to go ahead with the cull following reports from the NSW Farmers Association that feral pig numbers had risen so fast they were beyond the control of the landholders. It cost AUS$200,000 to carry out the shoot which was covered by the 2018 Pest and Weed Drought Funding Program recommended in the Australian Government Agricultural Competitiveness White Paper. Although not ideal weather for agriculture, it was the drought conditions that proved perfect for the marksmen to carry out the shoot. “There’s not many silver linings to drought conditions, but it’s an ideal window to achieve significant knockdowns when it comes to pest control,” Mr Leane added. “Pig numbers have dropped significantly due to the drought, so this recent cull means we can put a bigger dent in the pig population. Farmers and LLS staff are continuing to control numbers by baiting and trapping the feral animals.